Nurses are always advocating and educating their patients. As such, continuing education courses for nurses are a vital part of the nurse’s practice to avail them of the best evidence-based information and up-to-date care and treatments. One of the fastest growing areas of curiosity and specialty practice is the Cannabis Nurse. These nurses specialize in the growing facet of CBD (hemp oils) and THC (marijuana based) cannabidiols in the treatment of symptoms of a multitude of diseases and chronic pain issues. The practice is not only controversial, it also involves legality issues and stigmas. Research is hampered and limited by these factors, but many results are staggeringly optimistic especially in the area of pain and symptom control in Cancer, epilepsy, and end of life issues. Certification as a Cannabis Nurse is not there yet, but progress is being made and continuing education offers many choices for nurses to broaden their knowledge base and prepare to educate their patients and for the eventuality of certification. Meanwhile cannabis nurses do not have to have an advanced degree; any licensed or registered nurse can become one. The American Cannabis Nurses Association (ACNA) has developed a Scope of Practice for Cannabis Nurses. They are working together with the American Nurses Credentialing Center (ANCC) to develop the framework for certification of Cannabis Nurses. The Scope of Practice is the first major step in this process which has many more steps to accomplish. The use of cannabidiols is centuries old. The ancient Chinese Emperors suggested many medicinal uses over 4000 years ago. Hemp oil was cited in the bible. From 1851-1942 cannabidiol was included in the U.S. Pharmacopeia. But by the 1960’s it was considered dangerous and little research was being conducted to prove otherwise. In 1970, it was classified as a Schedule 1 drug by the DEA for its potential abuse and lack of accepted medicinal use. By the late 1990’s to early 2000’s word began to spread that smoking marijuana was helping patients with symptoms of nausea and vomiting with chemotherapy, and soon after experimentation with reducing the nausea and anorexia with HIV and AIDS began to take hold. Weight loss being a death sentence for cancer and AIDS patients was finding hope in using the 2 Phyto cannabinoids: THC (tetrahydrocannabidiol) and CBD (cannabidiol). From there, researchers took up the task of finding answers, improving extraction processes, and therapeutic uses; or proving it to be a hoax, depending which side of the fence the researchers stood. There was a lot to learn, but as of September 2018, we know that in the U.S. 30 states plus Washington DC and the American territories of Puerto Rico and Guam have legalized medicinal marijuana with a broad range of restrictions, fees and laws. Nine states have legalized marijuana for recreational use as well. Canada recently legalized marijuana as has much of Europe. This will increase studies and present more opportunities for nurses and other medical professionals to expand their knowledgebase to advocate and educate patients and caregivers. What have we learned about cannabinoids? First, we must understand the discovery from 1990 that the human body has its own endogenous (internal) cannabinoid system with CBD1 and CBD2 receptors that are structurally distinct from exogenous (eternal) cannabinoids. They form an important endogenous signaling system within the brain and central nervous system to control functions including memory, motor control, appetite, nausea and pain. By adding in exogenous cannabinoids (CBD) that do not contain psychoactive cannabinoids we can enhance the action of our endogenous cannabinoids to improve functions such as pain management, motor control and memory functions when chronic pain and illness have reduced the effectiveness. Adding in exogenous cannabinoids that do contain psychoactive cannabinoids (THC) we can also further enhance the function of our endogenous cannabinoids when necessary, but we also risk more side effects in the process such as anxiety, rapid heart rate, hallucinations, nausea, dizziness, weakness, behavior or mood changes, and even suicidal ideations. 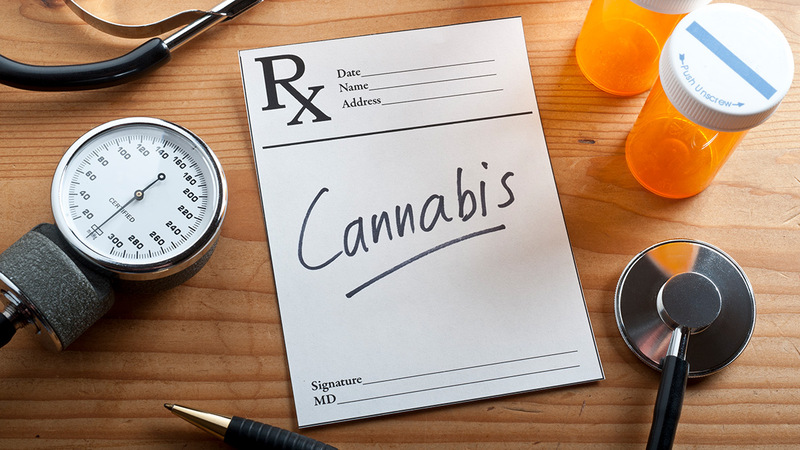 The action of the stronger medicinal purposed marijuana-based meds such as Marinol, Cesamet and Syndrus may outweigh the risks when CBD is not sufficient. A combination of CBD with THC may also be effective. The rule of thumb is to always start with the lowest dose and titrate as prescribed. CBD is derived from 3 varieties of hemp plants; cannabis sativa is the most effective and then there is cannabis indica and cannabis ruderalis. CBD oil is perfectly legal in all 50 states and may even be sold at your local health food store. It provides no psychoactive effects. It is important to learn about the growing processes for the marijuana and hemp plants. Non-GMO and no use of pesticides is important. The plants should be grown and harvested in the US and in states like California with stronger standardization regulations. How the product is extracted is another point to ask your dispensary about. Cold-pressed oils are purer. And it’s important to know if a carrier oil has been added in for flavor or other purpose. Carrier oil is often coconut oil. Ask the dispensary to avoid any allergies. CBD oil is derived from hemp but if it contains any THC, it requires a medical marijuana prescription and may not be legal in your state. CBD in a ratio with a small amount of THC may be a preferred product in the management of some symptoms. Research data is limited due to the fact that use has only been legal a short time. Conditions and diseases that have shown successful management with CBD, THC or combination formulas include anxiety, Parkinson’s, Huntington’s, epilepsy, schizophrenia, PTSD, sleep disorders, and some substance abuse. Neuropathic pain from diabetes and fibromyalgia have shown promise in response to cannabidiols with small ratios of THC. Epilepsy responds well to CBD with an 85% success rate with children. MS spasticity and bladder frequency also respond well to CBD, however the tremors with MS don’t respond as well. The use in children is not recommended under age 8 and should be discussed with the pediatrician and used at a very low dose if at all. Remember using cannabidiols is not curative but can be an alternative choice in managing symptoms. They can help reduce opioid use in chronic pain. Big Pharma doesn’t like that. Nor the fact that symptoms are reduced in chronic illnesses without as many expensive medications. Careful assessment and education are essential to the success. The source of any cannabinoids must be researched and is if prime importance. It is well known, for instance, that countries outside of the US often use high amounts of pesticides on their hemp and marijuana plants. These can be harmful and accumulate over time. Find a dispensary that uses local growers and knows where and how their product was grown and processed. The best product is organically grown, Non-GMO and processed purely usually in a cold-press manner. It can be a little more expensive, but worth the price. CBD oils are considered supplements, and THC products are not. They both come in many formats such as oils or tinctures, in edibles such as gummy bears or small chocolate candies. They are also available to be smoked or vaped. Care to keep them out of the reach of children is essential! CBD oils are legal in all 50 states and can be purchased over the counter, from a dispensary or online. Medical marijuana is prescribed by specified physicians and purchased from a medicinal marijuana dispensary under the direction of state laws. It cannot be prescribed by all physicians. If the MD accepts any Federal payments from Medicare or Medicaid they cannot prescribe because on a federal level it is not legal. Hospice physicians for instance, cannot prescribe medical marijuana because the hospice is Medicare certified. Patients are free to purchase and ingest the products, but hospice cannot recommend or prescribe. Before using these products, the patient should explore the issue with their primary care provider, and if s/he is not well-versed in the matter, the patient should seek one who is and of course discuss their issues with the medical marijuana physician. Don’t be hoodwinked by scam offers online for free or very low-priced product. In 2 weeks, they will charge your credit card full price (probably unbeknownst to you) and set you up for automated delivery of products priced at 2-3 times what you would pay locally. The market for CBD and medicinal marijuana products is fast growing and attracts snake oil sellers. Be aware and educate your patients. Buy from reputable sellers and knowledgeable dispensaries. You can learn more on the use of medical marijuana and cannabinoids in the treatment of pain, multiple sclerosis, epilepsy/seizures, neurological disorders, cancer and gastrointestinal disorders and more with our Marijuana and CBD: Effective Treatment and Use Continuing Education course worth 2 contact hours.